Former HHS Secretary Kathleen Sebelius made a surprise cameo at the ongoing corruption trial for Sen. Bob Menendez (R-NJ). Menendez is charged with currying favor for his friend, ophthalmologist Dr. Salomon Melgen, in exchange for lavish gifts. Both have denied any wrongdoing. On Tuesday, witness Jonathan Blum, former principal deputy administrator of the Centers for Medicare and Medicaid Services, testified that Menendez urged him to forgive Melgen in an overbiling dispute over an eye drug. They failed to come to an understanding and in 2012, Sebelius was added to the discussion at the urging of then-Senate Majority Leader Harry Reid. It didn't go well. Blum recalled the meeting being "very angry and hostile," while Sebelius said nothing was resolved. "I think (Menendez) wanted me to do something differently than the (CMS) staff had previously done -- which was take some action to clarify this procedure or change some action that had been taken on the billing issue," Sebelius explained. "It was an issue I was urged not to discuss with directly with Sen. Menendez until out of our department," she added, stating that an individual billing dispute was not something she generally dealt with as the head of an agency of roughly 90,000 employees and a budget just under $1 trillion. 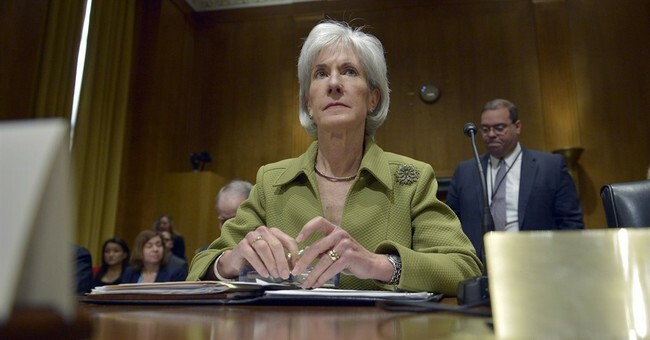 "There wasn't a mutual resolution," Sebelius added. "We came in with a dispute and left with the same dispute after about 30 minutes." She testified that the meeting was "unusual" because it was the only time Reid ever asked her to meet with another member of Congress. Before bringing the issue to the HHS Secretary, Menendez reportedly tried to convince then-Acting Administrator for the Centers for Medicare and Medicaid Services Marilyn Tavenner to change the payment policy to benefit Melgen, with the same unsatisfactory outcome. Melgen has already been convicted of billing and stealing $100 million from the federal government, but his sentencing has been delayed.